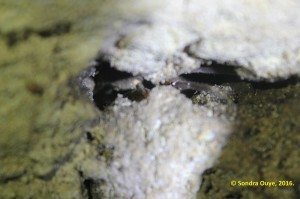 This crab is found on the muddy floor and lower walls of the cave. 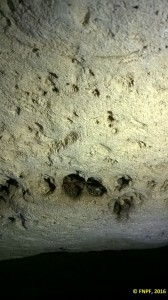 It shelters both in small (~7 cm diameter) drip pools in the floor when these are wet, or in clefts in the wall. It has relatively long legs, a common morphological adaptation for living in caves. 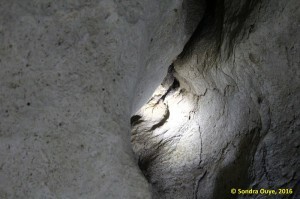 The cave floor is the path used by the many pilgrims and worshippers at the cave’s temples. 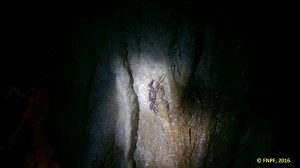 The primary threat to this crab is the increasing use of the cave by pilgrims and worshippers at Giri Putri. 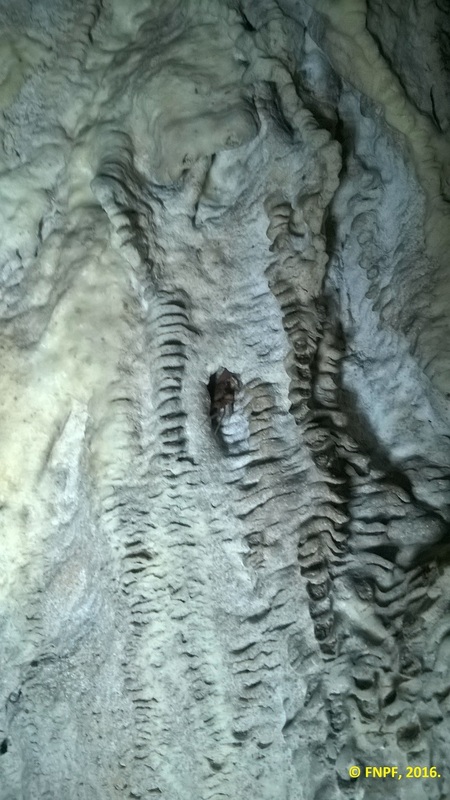 Dans 1994 when the crab was first collected the infrastructure was minimal, but now there are walkways and seating across part of the cave floor, and electric lights. 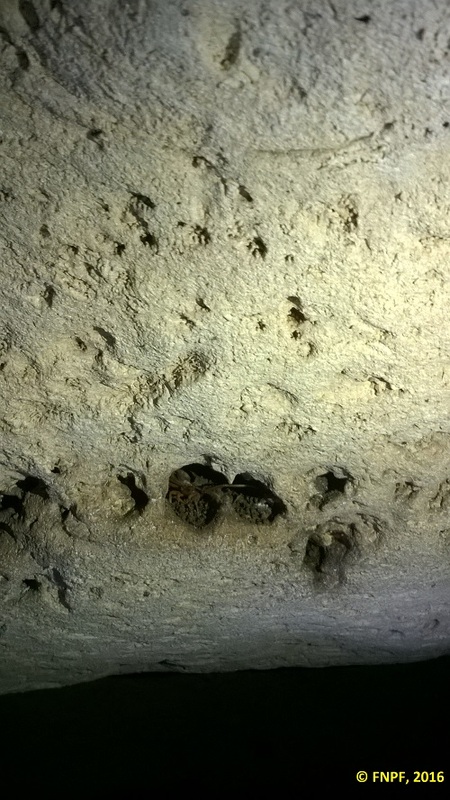 Six visits since the original discovery have noted a decline in the abundance of the crab, although some of that may have been caused by visits being undertaken in relatively dry periods when free water on the floor of the cave was less available. Visits since the original have noted a marked decline in abundance of the crabs. 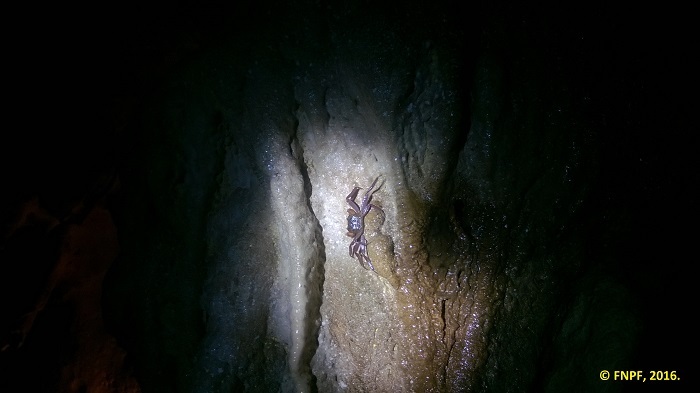 For this reason the IUCN (international Union for the Conservation of Nature) has placed the Giri Putri Cave Crab on its Red List of Threatened Species within the category ‘critically endangered’. This is the category before ‘extinct’. There are ongoing discussion among the temple committee, local community and FNPF. we would ask everybody to support this project and protect the crab and also respect the sacred nature of the cave temple. À l'heure actuelle, FNPF is collaborating with FFI, LINDEN (Lembaga Ilmu Pengetahuan Indonesia), National University of Singapore, SOS (Save Our Species), Regency of Klungkung and the local villages to study and protect this rare species of crab. Follow the progress of this project by liking our facebook page and subscribe to our bulletin.